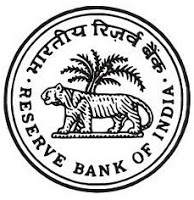 Reserve Bank of India (RBI) has published Advertisement for below mentioned Posts 2016. Other details like age limit, educational qualification, selection process, application fee and how to apply are given below. Candidates applying for the post in a particular recruiting office should be proficient in the language (i.e. know to read, write, speak and understand the language) of the state/ any of the states falling under the recruiting office. Schedule of Online Preliminary Test (Tentative) December 23 & 24, 2016. However, RBI reserves the right to change the dates of examination. Schedule of Online Main Test (Tentative) January 2017. However, RBI reserves the right to change the dates of examination. Special thanks to Axat Shah for this update.